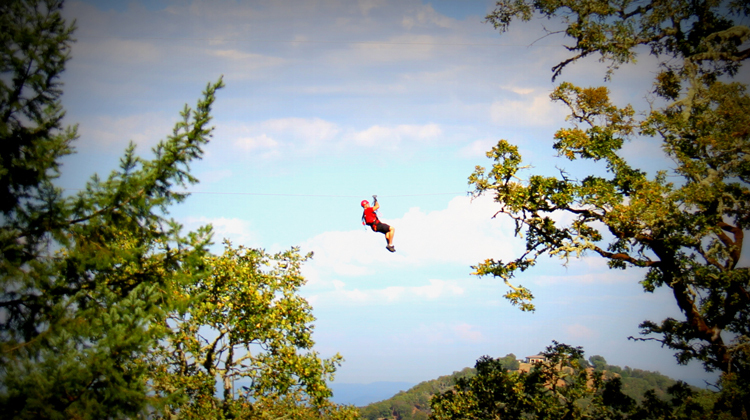 This thrilling Rogue Vally ZipLine Adventure will take you high above the Rogue Valley as you soar through over 2700 feet of Zip on their five ZipLine course. Did you know they have the longest ZipLine in the Pacific Northwest? As you arrive in the historic gold mining country where the ZipLine park is situated, you will be entertained by stories from long ago and learn facts of great local significance, starting with a stop at the Historic Braden Goldmine. After gearing up, your adventure continues with a refreshing mountainside hike to their beginner ZipLine. Certified RV ZipLine guides will help familiarize you with ZipLining and maybe even assign you a nickname. After viewing the amazing scenery and visible landmarks from above the treetops (Crater Lake Rim, Mt. McLaughlin, Mt. Thielson, Table Rocks…), you will take your fifth and final zip on the longest ZipLine the Pacific Northwest has to offer (1300+ ft.). Finish the tour with adventure reflections in their miniature Gold Mining Town (town growth continues into 2014 season). “Kane Creek Canyon” is a great place for one last photo op, before you reluctantly head back to reality via their 4×4 shuttle van. Ask about their Zip, Dip & Sip Tour. By teaming up with Rogue Rafting Company, Laurel Hill Golf Course and Del Rio Vineyards, they are able to offer ZipLining, lunch, rafting and a wine tour and tasting for a day-long adventure you will not forget. Fly high, get wet, then relax and reminisce. Advanced reservations are recommended. 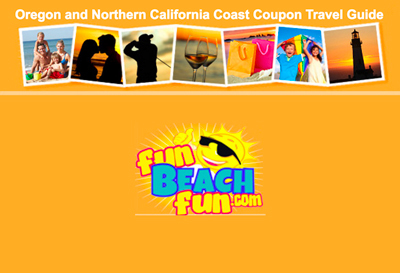 This tour operates June through August.